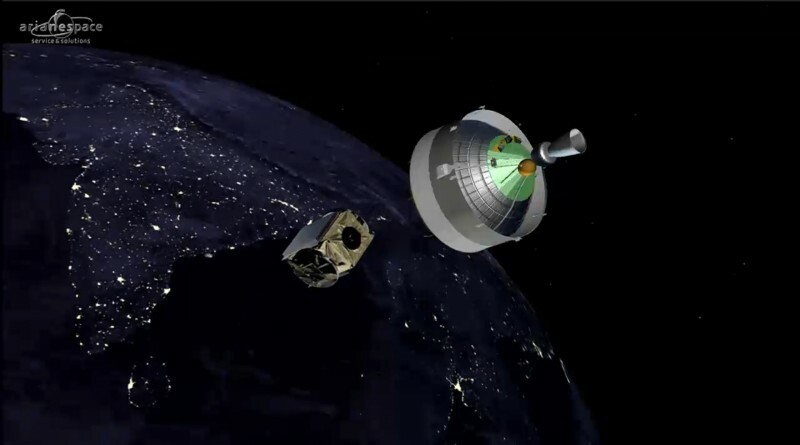 The closing mission of 2015 for Europe’s Ariane 5 rocket delivered its two payloads to an on-target orbit as evident in orbital data released by the Joint Space Operations Center. 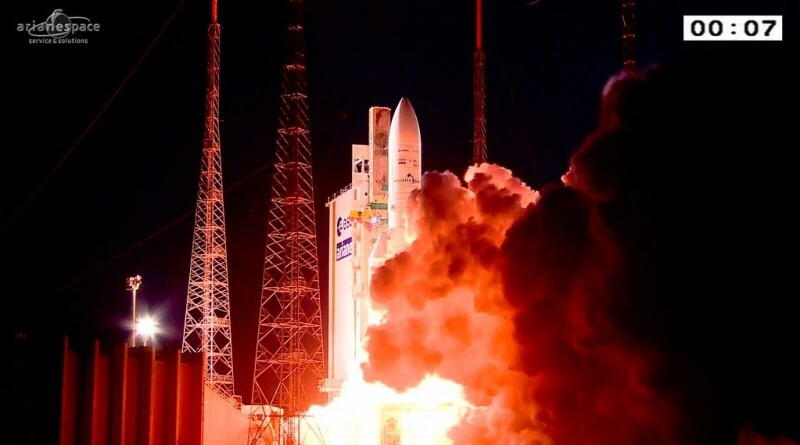 Ariane 5 lifted off from the Guiana Space Center on Tuesday at 21:34 UTC, carrying the Badr-7 and GSAT-15 satellites to an optimized Geostationary Transfer Orbit. Ariane 5 successfully conducted its year-closing mission on Tuesday, lifting off from French Guiana to carry a pair of communications satellites into orbit in its sixth and final flight of 2015.